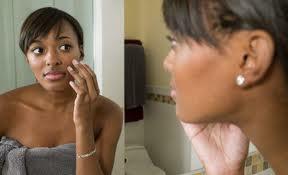 What’s Causing My Facial Breakouts? Rather than analyzing the skin in general terms, a FaceHaven Professional Skin Therapist uses Face Mapping® to divide the facial landscape into fourteen zones. 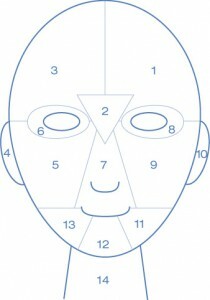 Each zone is thoroughly examined inch-by-inch through touch and site, and findings are notated on a prescription sheet. We invite you to see why Clean Start can help you build a better relationship with your skin for a healthy future. Jackie es nuestra Cuidado de la piel nueva profesional en FaceHaven. Ella trae consigo un toque maravilloso y amplia experiencia en la terapia de la piel como un educador de la Escuela Paul Mitchell Dermalogica (IDI) socios para que usted sepa que ella es la persona perfecta para Facehaven. 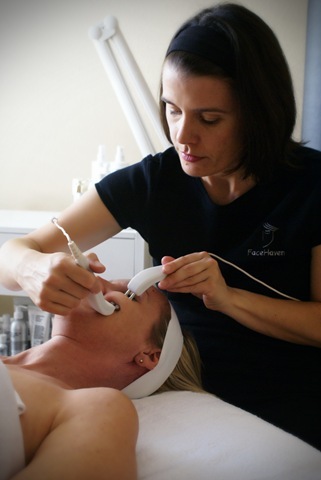 Jackie is our new Skin Care professional at FaceHaven. She brings with her a wonderful touch and extensive background in skin therapy as an educator for The Paul Mitchell School a Dermalogica (IDI) partner so you know she is the perfect person for Facehaven. PFB VANISH is great for both Women and Men and can be used on any part of the face and body. PFB VANISH gently exfoliates to “lift ingrown hairs” formulated with salicylic acid, willow bark and glycolic acid and is FDA approved. Comes in a “no-mess” roll-on for ease of application. Most people see results within 48 hours. Sold in prestigious salons and doctor’s offices throughout the United States.